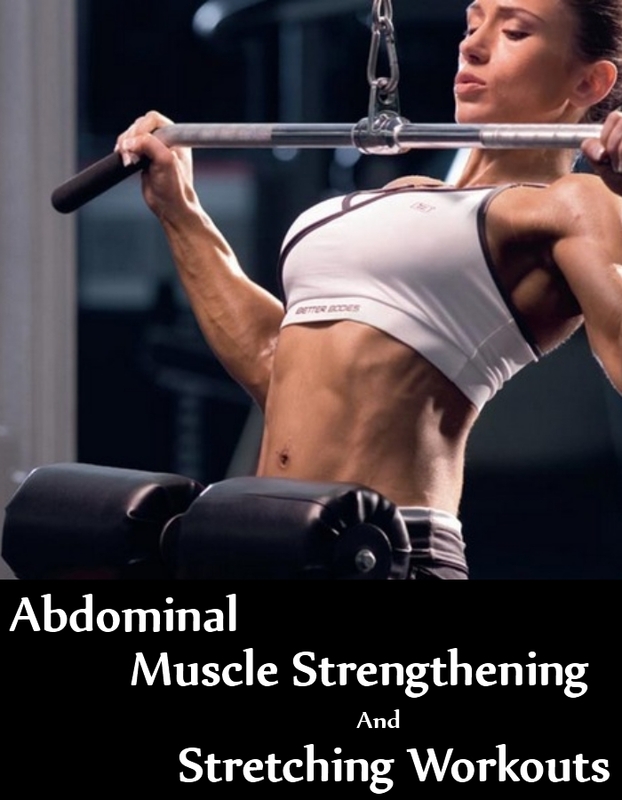 If you are trying to tone your inner abdominal muscles and improve their strength, you need to focus on a few stretching and tightening workouts for the inner abdominal muscles. These muscles are one of the most crucial muscles, which help in building strength and flexibility of the muscles. Stretches help in improving blood circulation, build mass and remove unwanted fat from the specific areas. Include all, or any of these workouts in your regular routine to work on the inner abdominal muscles. This exercise works on the inner abdominal muscles builds strength and improves the level of flexibility. Start the workout by sitting comfortably on the floor. Your legs shall be extended. You need to hold the medicine ball, just in front. Your knees will be bent a bit in this position. Keep your posture straightened. Start to move your elbows slowly and bring them close to the ribcage. Look straight and forward and get to the start position. You need to slowly move your torso towards your right. Stop for a few seconds and then get back to the beginning position. You need to repeat the same movement towards your left. This shall complete one full rotation. Do 8-10 such rotations as you start. Start this workout in a comfortable plank position. Your right knee shall be close to the chest. Your right knee shall also be totally stable, as you contract on that specific side. Slowly, you will move the left knee inwards and then again back. The height of your hips shall be stable in this position. You need to do this movement, at least 10-15 times before you switch the sides. Repeat on the other side. In this exercise, the inner abdominal wall is stretched. A stability ball is one of the most commonly used tools for exercises, which helps in building strength, flexibility and toning the muscles. The knee tucks help in toning the inner abs, losing fat and strengthening the muscles. You need to be in such a position so that your thighs are just on the stability ball. Your hands shall be on the floor or just under the shoulders. To start the exercise, you need to make a straight line with the tip of your toes and head. Slowly, move your knees close to your chest. You will slowly roll a ball down the legs. In this position, the shin shall be on top and your hips will slowly rise in the air. Get back to the start position. This will be one repetition. You need to do at least 8-10 such repetitions as you start. This is a simple exercise which can be done by beginners too. Start by lying down on the back. Your legs shall be comfortable and up in the air. They should make a 90-degree angle. You will place one ball just between your inner thighs. Your hands at this position should be relaxed and down by your side. Slowly, as you start pressing the ball, your hips shall be moving up. This is a very subtle movement as you need to move slowly in order to increase the effectiveness of the workout. You will not move your hips vigorously or jerk it up. You need to lightly tip up. The movement shall be initiated from the lower ab region, as it gets the most stretched. You need to gently crunch in and then tip the hips. You will be releasing halfway. Now, repeat the exercise. You can make the exercise a bit more challenging with the help of weights in your hand. You need to do such movement at least 15-20 times. Start by lying down on your back in a comfortable position. You will hug your knees into your chest. Your left leg shall be straight and it needs to be at least two inches on the ground. Your right leg shall be up towards the ceiling. Now, move your upper body high, as you use your hands just behind the knees. You can then again bring your hands just behind the head. Move the left foot and then slowly tap the back of your right heel. You can crunch and then tip the hips. You need to half release and then move the leg back to the position where you started. It should be lifted just half inches from the ground. You need to repeat 12-15 times each side. Now, complete a side before you can switch to the other. Do not rush the workout. The slower you go, the more effective the workout shall be.